There’s a new, free, holiday celebration on Vancouver’s west side as Wesbrook Village hosts a season-long Balloon Winter Wonderland, which will launch alongside a Holiday Craft Fair on December 3rd. The Balloon Winter Wonderland, housed in the 1,600 square foot Wesbrook Welcome Centre, will be open daily from December 3rd to December 18th, 10:00am to 8:00pm. The exhibit will feature four familiar holiday scenes, made entirely from biodegradable, nitrogen-filled balloons. Created by balloon artist Angela Fraser of A-Star Art Parlour, the display will use over 2,500 balloons and take around seven days to construct. The Holiday Craft Fair at the new Wesbrook Community Centre takes place on December 3rd from 10:00am to 5:00pm and will include offerings from over 50 BC artisans and a number of Wesbrook Village businesses. Holiday shoppers will be able to purchase everything from knitwear, to soaps, to jewelry and baked goods. 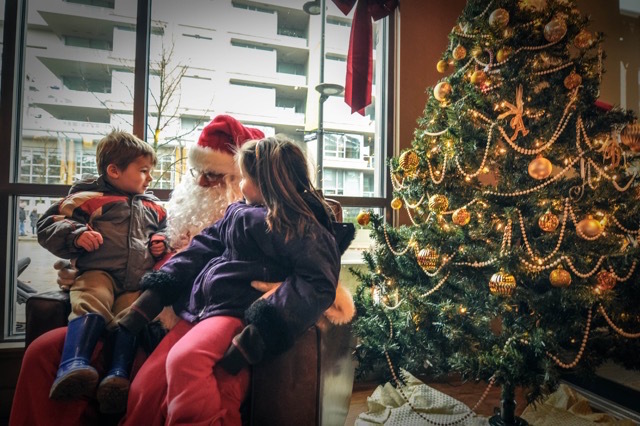 The launch of these holiday events will feature photos with Santa on December 3rd (11:00am to 1:00pm), and festive music from the UBC Thunderbird Band. Carollers from UBC Theatre will also entertain crowds and spread holiday cheer starting at 12:00pm that day. A number of other local businesses will be staging additional holiday events, including brunch at BierCraft Restaurant, a tea sampling at Murchie’s Fine Tea, face-painting at Fido, and a kids’ craft and colouring station at Menchie’s Frozen Yogurt. Entry to all events is free and free parking is available across from Save-On-Foods and in the underground parkade. Discover Wesbrook Village at 16th Avenue at Wesbrook Mall, at UBC.